 Global Britain was founded in 1997 by Lord Pearson of Rannoch, Lord Stoddart of Swindon and Lord Harris of High Cross with the aim of making the case that Britain’s prosperity is founded on a global vision, not a European customs union, and that British prosperity would be best served by withdrawing from the European Union. From 1997 to 2013 Global Britain’s main activities were briefing peers, MPs and MEPs of all parties for their debates and select committee work in the Westminster and European parliaments. When, in February 2013, the Prime Minister announced his policy of re-negotiating after the next election the terms of EU membership and putting the outcome to the British people in a referendum, it was decided to focus Global Britain’s research and activities on two important non-parliamentary “constituencies”: the City of London in particular and British business in general. Global Britain sought to provide the positive business case for the UK to leave the European Union and published a wealth of research briefs and papers to that end. Now that the argument for an outward-facing, sovereign, democratic United Kingdom has been won Global Britain is committed to ensuring that our politicians do not betray the 17.4 million Britons that voted for change. More reports, papers and briefing notes are published regularly on issues relating to the Brexit negotiations to explain just how important it is that the UK leaves the Single Market and its Customs Union. Make sure you are signed up for your free soft copies.